For medium to high-output foam applications and roofing projects – applies up to 52 lb (23.6 kg) per minute. 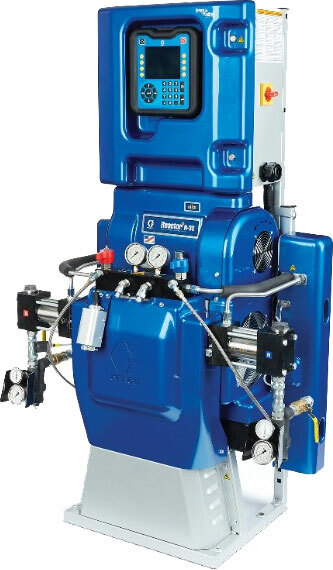 Graco’s line of hydraulic Reactors brings increased yield and high output spraying. Ideal for in-plant OEM’s or applicators that spray at high volumes.